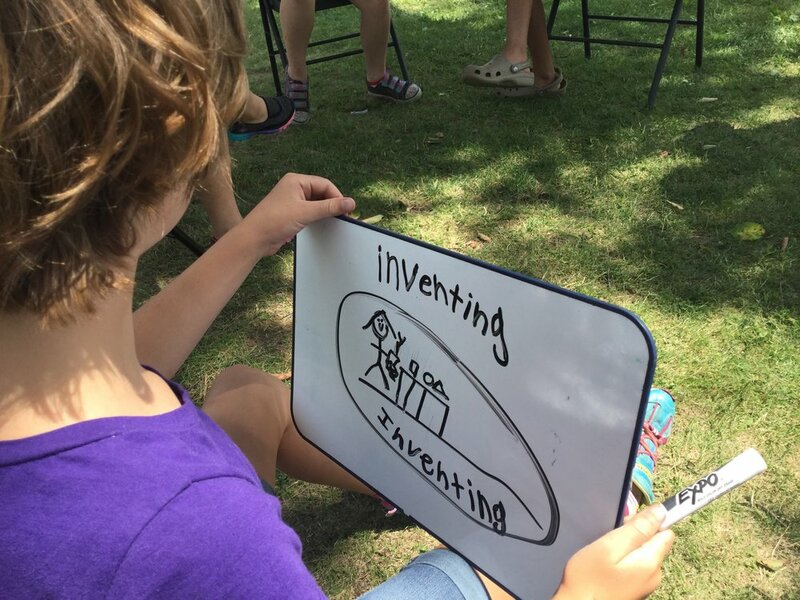 Inventors Camp for Girls First Day! Today was such a great first day at our Girls Inventor’s Camp! We spent some time in the morning getting to know each other, talking about engineering and design, women in STEM careers, playing around with Legos and decorating with laser cut cardboard cutouts. We also worked together to set rules and norms that we would follow for the week! Starting our first Design Challenge! Our design challenge focused on water filtration, and we modeled our design after a large program at NASA. We discussed the design process used by engineers and scientists who developed the International Space Station Water Recovery System. Student’s used an iterative process to build, test and measure the effectiveness of their filtration devices. Many resources were used to filter very dirty water! Most of the resources weren’t known to the girls as materials for filtration! They collected and analyzed data, and used this information to work towards improving their designs. Many resources were used to filter very dirty water! Most of the resources weren’t known to the girls as materials for filtration! They collected and analyzed data, and used this information to work towards improving their designs. We spent some time discussing what we had done throughout the first day, and reflected on what we had learned. Everyone is excited to see what else the week will bring!